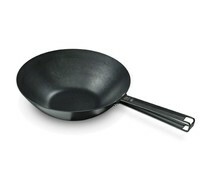 Frying pan in carbon steel with outstanding non-scratch properties,even using hard metal utensils and resistant to high temperatures (up to 350°C). 5 year garantee. 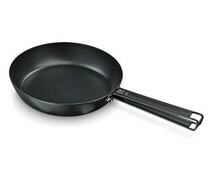 Wok in carbon steel with outstanding non-scratch properties,even using hard metal utensils and resistant to high temperatures (up to 350°C). 5 year garantee.